1. Who can I join Nyati Sacco? Employees from organizations that have a check-off agreement with the Sacco. Employees of any other organization as may be approved by the board. All former employees of companies with check-off agreement with the Sacco. 2. 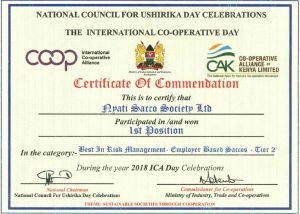 How do I become a member of Nyati Sacco Society? Fill in a membership application form that can be down loaded from our website or obtained from our offices or from delegates countrywide. Copy of the National ID card,latest pay slip,ATM card and 2 coloured passport photos. Minimum monthly deposit is Ksh.1200. Minimum share capital is Ksh.3000. 3. 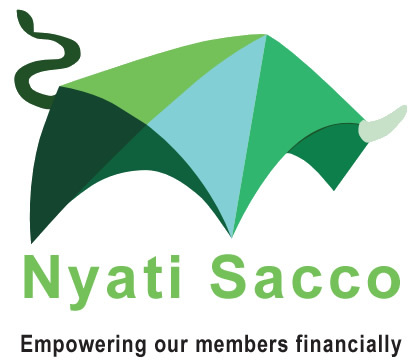 What are the benefits of being a member of Nyati Sacco? Saving enables one to put aside reserves for his/her future and qualify for bigger loans. High savings need fewer/no guarantors to secure loans. The insurance covers members savings, loan and pays for last expense. In the event of death of a member, the deposits are doubled and the outstanding loans are written off. The insurance also cover burial expenses of the deceased member or spouse to the tune of Ksh.30,000. For a member to be able to get compensation, the family members should avail the following documents: the Burial Permit, Certificate of Death and Identification Card. 5. Who is a nominee? All members are required to provide details of nominee(s) upon registration as members. One can change and/or update his/her nominee information as when need be. 6. What is share capital? This is the money invested in the Sacco by the members. It is a long term source of finance it represents a unit of ownership. All Saccos are required by law to have minimum share capital. In Nyati Sacco the minimum is Ksh.3000. This fund is used to cushion against any loss that may be incurred by the Sacco in the future and therefore cannot be withdrawn but only transferable when a member ceases membership. This is monthly savings made to the Sacco by the members and is non- withdrawable except in complete termination of membership or upon death. Deposits act as loan security. A member becomes eligible after a minimum membership period of three months. One must have a minimum deposit of at least Ksh.5000 and on fulfilling all requirements of a specific loan product. Loans more than one’s deposits will require guarantors. 9. What should i have when applying for a loan? Sufficient number of guarantors (depends on loan type). 10. How long will my loan take before disbursement? 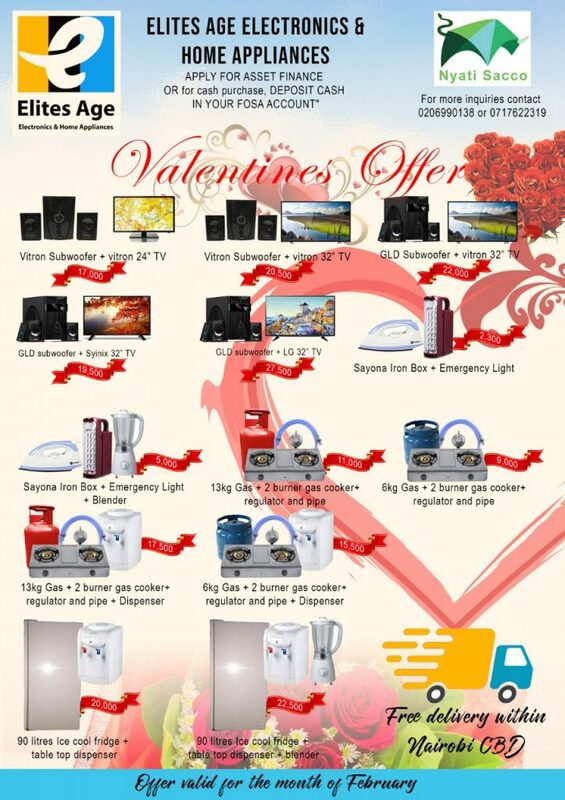 Special emergency is disbursed within one week. 11. How does the 2/3 Rule work? While granting loans, the members Gross Salary is considered and the SACCO is expected to utilize a maximum of 2/3rd of the net salary thereby leaving themember with a take home pay of not less than 1/3rd. 12. How often do you provide statements to members? On demand statements can be given anytime. Those with internet can have their statements sent to them upon request. There are plans to improve on the SACCO’s software to enable members receive statements through SMS. 13. How are elections conducted? The SACCO has a delegates system of representation. The Delegates represent up a maximum of 150 members. And are elected annually. The branches act as electoral areas. The elected delegates then meet every year in an Annual General Meeting where they elect 9 and 3 into the Management and Supervisory Committees respectively. All SACCO elections are presided over by the Ministry of Industrialization and Enterprise Development. 14. Where else has the SACCO invested its funds? The SACCO has invested in Co-operative bank shares, CIC Shares, KUSCCO shares but in a small scale. The major investment is in member’s loans. 15. How can I withdraw from the Sacco? Withdrawal is subject to clearance of all Sacco liabilities. Seek alternative guarantors for all loans guaranteed by you. A waiting period of sixty days is required in case of any refunds. 16. How do I get my Sacco Deposit refund after withdrawing from the society? Deposits refund take up to after 90 days upon receipt of your withdrawal letter, settling of all liabilities and provision of alternative guarantors for all loans guaranteed by you. 17. After withdrawing from the society, am I allowed rejoining? Yes one can re-join the soonest he/she is ready upon payment of a rejoining fee. 18. If I resign/retires from employment, can I continue to be a member? Yes, one can continue being a member as long as they continue remitting SACCO deductions. Remittance can be done for both deposit and loan repayment by placing a standing order at the bank or making monthly cash deposits. 19. How safe are the members deposits held by the SACCO? The Board and Management are managing the Sacco as per the Co-operative societies ACT, Rules and Sacco by –Laws. The Sacco has implemented the use of Corporate Governance and Code of Ethics hence stability is guaranteed. The Sacco also holds AGM’S yearly where reports and accounts are presented to the members.